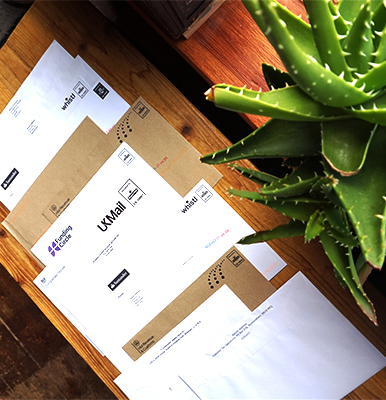 We have a number of mailbox & address services available to suit your businesses requirements. Start-ups, mobile & home based businesses often register their business to our address. Firstly this presents their company as having a large, prestigious address. Secondly suppliers, clients & other third parties are kept away from their home address. Overseas businesses also use our address to give a virtual presence in the UK. We can open, scan & email traditional mail, or forward it to the overseas address. Alternatively we can simply hold on to it for collection. International companies using our UK address can also upgrade to virtual phone services to add to their UK presence with a UK telephone number. The typical services are offered below but we are also happy to quote for bespoke or one off mail handling services. We receive your post and parcels and keep them safe until you're ready to collect them. We'll scan (approved mail) and email it over to you to save collecting it. No need to collect as we'll forward your post on to your private address. Register your Ltd or LLP company to our prestigious business address.